There is something sad when a cricketer retires. This time of year in England, the season slowly closes the curtains and settles down for the winter, and those who we pay good money to watch finally hang up their bat. None of the following three may be English but all of them have made their mark for varying reasons on English fans, and with a tear in my eye we will see them no longer don their whites in the test arena. Bowlers around the globe may have a different viewpoint however. Farewell then Sanga, Pup and Buck. Firstly let's concentrate on Kumar Sangakkara. Sanga came from a Sri Lankan side who changed Test cricket. Innovative and quick to learn, it is no wonder they have been so strong in the shorter format in recent years, although they have been no mugs in the five day game either. Whether it is Murali's doosra, the Dilscoop or Malinga's slingas the cricketers of this small island have given us lots to think about. However, for me it is more of a conventional player that has given us more joy and that is Sanga. A classic cover drive, or straight down the ground was what I loved from Kumar and he really was easy on the eye. The fastest man to 8,9,11 and 12k Test runs his batting improved after the age of 35 when he gave up the gloves. Like a thoroughbred or a boxing technician staying until round twelve and jabbing to become a great on points, Sanga got better as he went on. His club in Sri Lanka may have been called Nondescripts, but the adjectives have flown around all week for this wonderful player. For me though I loved his keeping. Now that was masterful. Only the very best could keep to Murali on bunsens such as Galle and make it look so easy; if you or I tried to read it, we'd be like dyslexics with War and Peace. Or certain English batsmen. Another thing I loved was his sledging. The way he pressured Shaun Pollock once by telling him he had sixty million people wanting him to do well was mastery of increasing pressure without resorting to the abuse that is the rhetoric of so many sports stars of today. An educated man, Kumar was born and educated on the right side of the tracks but he was always a man with a conscience. His family hid Tamils during the civil war in Sri Lanka and he was outspoken on corruption in cricket administration. A man who did a lot of work with UNICEF and other charities, surely an ambassadorial role beckons for the King of Kandy. Sanga united Sri Lanka and his speech in the Colin Cowdrey lecture at the MCC in 2011 reflected that he was "Tamil, Sinhalese, Muslim, Burger, Christian, Buddhist, Hindu, yet proudly Sri Lankan". Another man who has been a fine ambassador for cricket also retired from the Test game this week. Michael Clarke might not have been from such a privileged background as Sangakkara or many Test players but the way he handled himself in the Phillip Hughes aftermath means he will go down as one of my favourite players. Hailing from the working class town of Liverpool in the Western suburbs of Sydney, Clarke made a brilliant hundred against India in his first knock for Australia and has since been one of the best batsmen that this island has ever produced. Stylish, classy and free scoring without being reckless, anyone who broke into the Baggy Green side of the early millennium must have been a decent player. Forget the player that we saw this summer, the one plagued by back problems, for me Michael Clarke was one of the best of all time. His 329 against India was the highest score ever at the SCG, yet he never got the accolades that he deserved. Even this week, the press has been full of Sangakkara stories but Clarke was just as good a player and the column inches haven't reflected that. Maybe coming from his background doesn't make him as popular? David Warner is another from the Western Suburbs and you wonder if there is a theme here. Clarke's captaincy was thoughtful, innovative and interesting. Bowling Nathan Lyon as early as the fifth over in his last Test summed him up and he was always thinking. A street fighter, Clarke was streetwise and hard as nails. 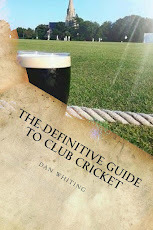 Yet behind this lay an astute cricketing brain, and you would always wonder what was coming next. His captaincy was a pleasure to watch as was his batting. However for me, Clarke really came to the fore when his friend Phillip Hughes passed away so tragically. Clarke then became not only a captain of Australia, not only an ambassador for Australia but an ambassador for the game in general. He will always be remembered for his courage during that dark time for the game. The last man to retire is far less well known in world cricket, but one who has been a fine batsman. 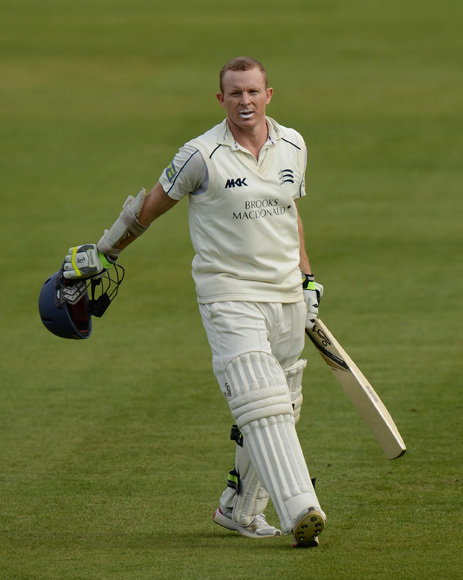 Chris Rogers has been a solid, pugnacious opening batsman for years, having put many a county attack to the sword. Northamptonshire, Derbyshire, Leicestershire and Middlesex have all benefitted from his fine batting. Rogers is the classic modern cricketer, yet in style of play has something very traditional about him. From Sydney, he went to Western Australia to make his mark before playing his Sheffield Shield cricket for Victoria. You can say he might have had more clubs than Jack Nicklaus and more sides than a triskaidecagon, but he has never let anyone down. Strong through point, he has handled English conditions better than any Australian batsman this summer and was the gatekeeper to the middle order. His 241 as Middlesex chased 481 at Lord's against eventual champions Yorkshire last season, will not be forgotten by anyone who was privileged enough to watch it. He may have arrived at the party of Test cricket late on in life, but he made up for it when he turned up. A true gent by all accounts, he is popular with team mates and happy to have a drink with fans at the end of play. The accessibility of cricketers such as Rogers in an era when many sports players can be aloof and full of self importance is hugely refreshing. So farewell to Pup, Sanga and Buck and thank you for the memories. They have given us a lot of enjoyment and scored nearly 120,000 runs between them. Now that is some achievement. Fair comment, though to my mind Sanga is a better player than Clarke (indeed, Sanga is in the all time top 10 batting averages, with his career average nestling between those of Sir Garry Sobers and Sir Jack Hobbs, which is a pretty good place to nestle. I believe his test stats without the gloves are something like 9000 runs at 68, which is just phenomenal. I suppose I reckon Sanga will be remembered as an all time great, and I don't think Clarke is (quite) at that level. As you say, one of the best and most intelligent sledgers behind the stumps, too. Another long time test "stylist" has probably played his last, too. Shiv Chanderpaul doesn't look like he will play for West Indies again. It's a pity he hasn't gone out on his own terms. The top 10 is on a 20 innings minimum.